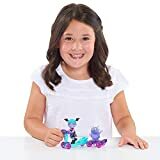 Vampirina has articulated and poseable arms, articulated head and waist. 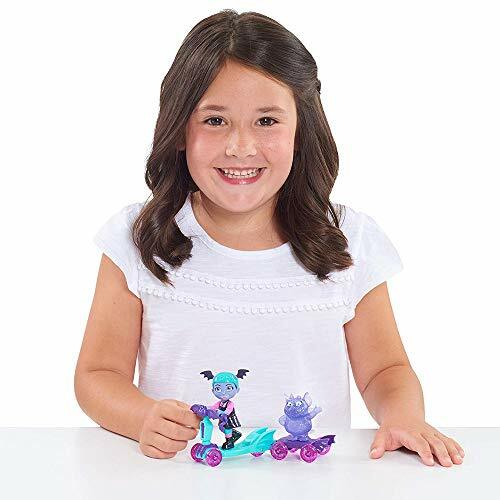 Vampirina figure features a sculpted on helmet and safety gear. 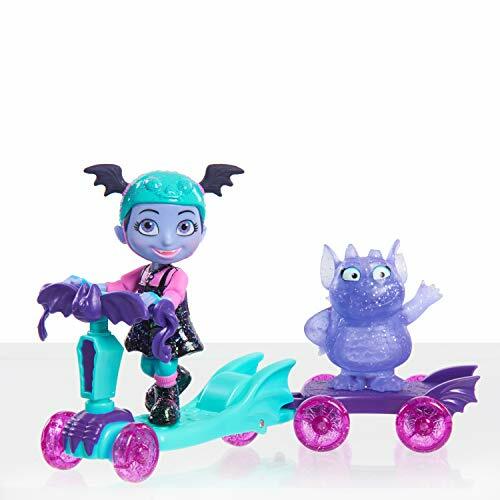 Scoot into bat-tastic adventures with the Disney Junior Vampirina Spooky Scooter set Vee! 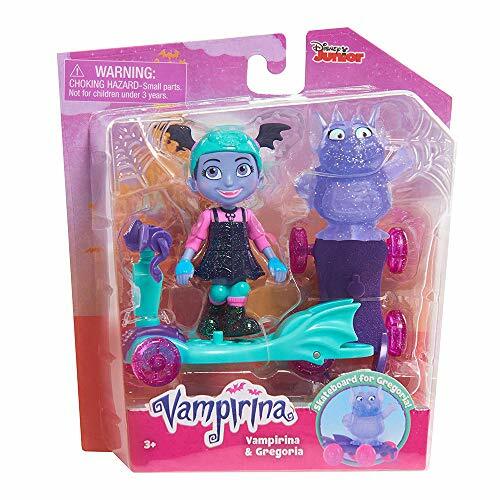 This fang-tastic set comes with a 3.5inch Vampirina figure, Gregoria figure, scooter, and skateboard. Vampirina features articulated arms, head and waist and wears a helmet that matches her scooter. 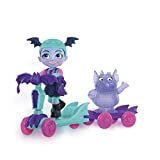 Vampirina can really ride her scooter just like in the show! Gregoria comes with a skateboard that can attach to Vampirina's scooter so they can ride together! Also look for the Poppy and Wolfie Spooky Scooter Set (sold separately). Both sets work together, so you can mix and match scooters, skateboards and figures for endless hours of fun!